Barry Woodward was a heroin addict for fifteen years. In 1995, a sequence of extraordinary circumstances changed his life forever. His life was 'fixed'. Subsequently, he founded a charity called Proclaim Trust. In 2013, Proclaim Trust hosted the first Fixed Conference. This conference was geared towards addicts, ex-addicts, recovering addicts, and those with a heart for addicts. It was the first conference of its kind, with hundreds attending from all over the United Kingdom. Fixed Lives is a collection of stories about people who were once caught up in the cycle of addiction, but whose lives have been truly fixed. It provides intriguing and sometimes shocking insights into these individuals' lives – real lives that have been totally changed. Fixed Lives by Proclaim Trust was published by Malcolm Down Publishing in September 2016 and is our 44592nd best seller. 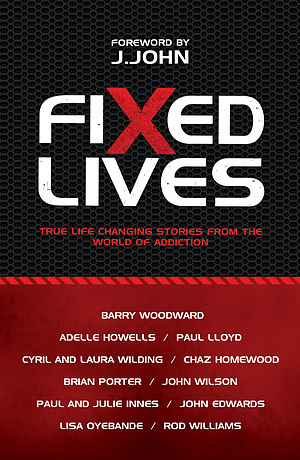 The ISBN for Fixed Lives is 9781910786543. Be the first to review Fixed Lives! Got a question? No problem! Just click here to ask us about Fixed Lives. Fixed Lives - Malcolm Down Publishing from Proclaim Trust - Barry Woodward on Vimeo.